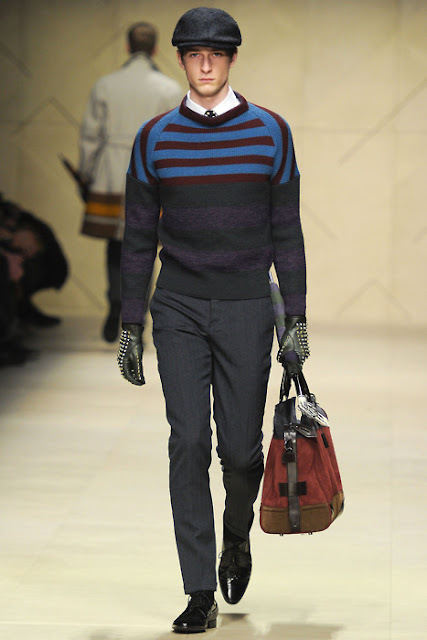 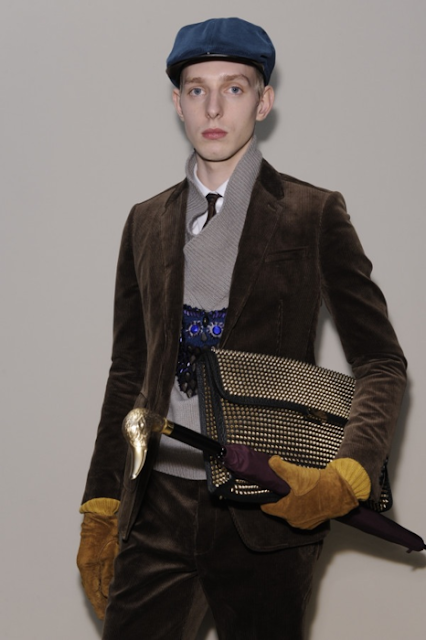 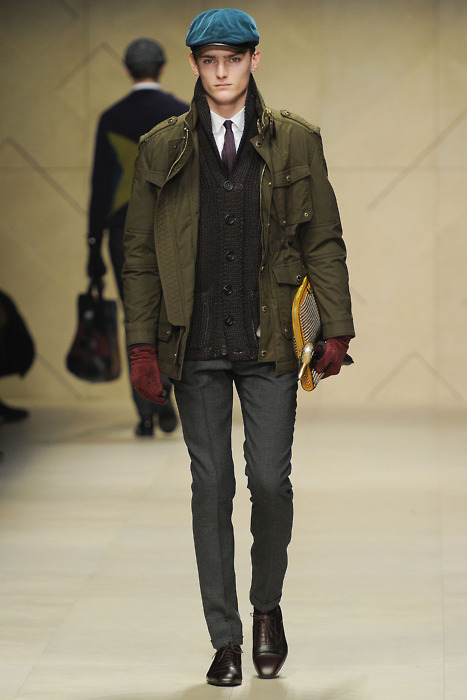 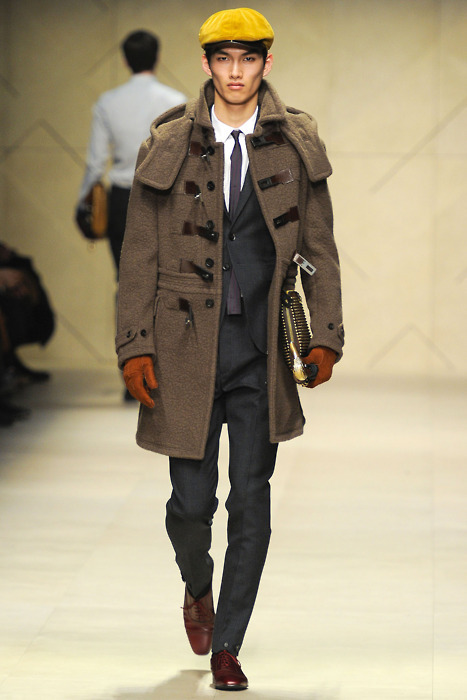 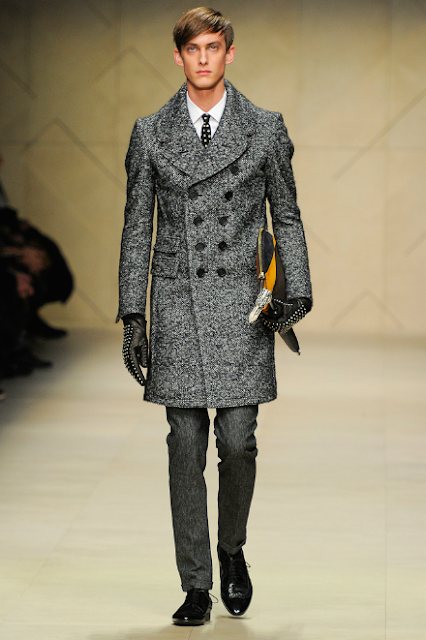 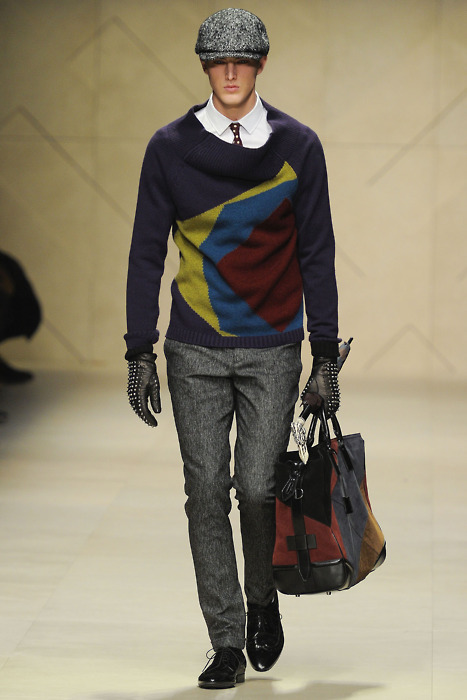 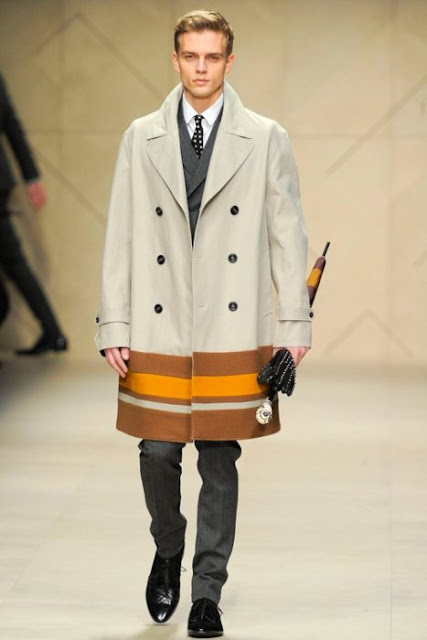 Yesterday at 8:00 p.m. (Moscow time) I watched online Burberry Prorsum Menswear Fall/Winter 2012/13 Show in Milan as part of Milan Fashion Week. Christopher Bailey didn`t disappointed me as always. The collection is just perfect. 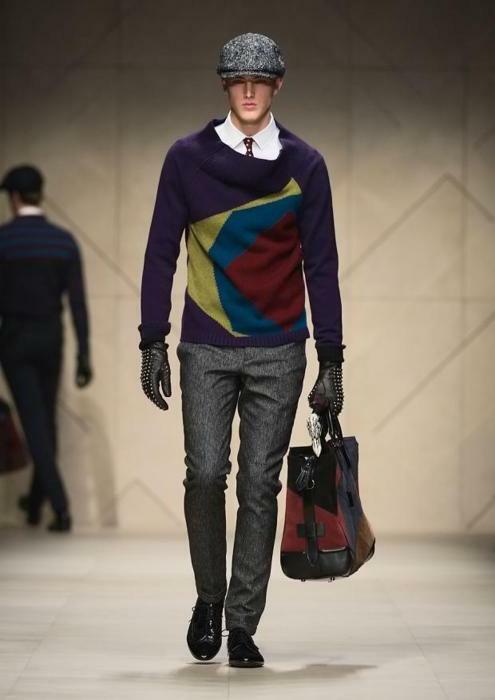 The costumes and classic siluetts, a wonderful color palette: black, gray, yellow,green,brown,burgundy and purple. 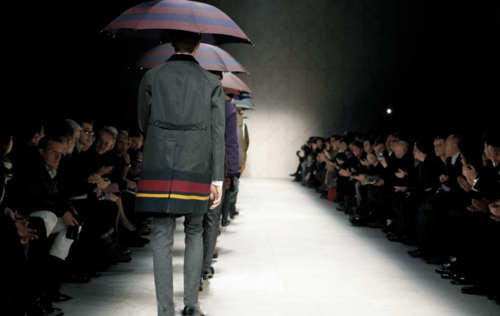 Amazing holographic pattern that produces rain behind the runway and the models went out with umbrellas. 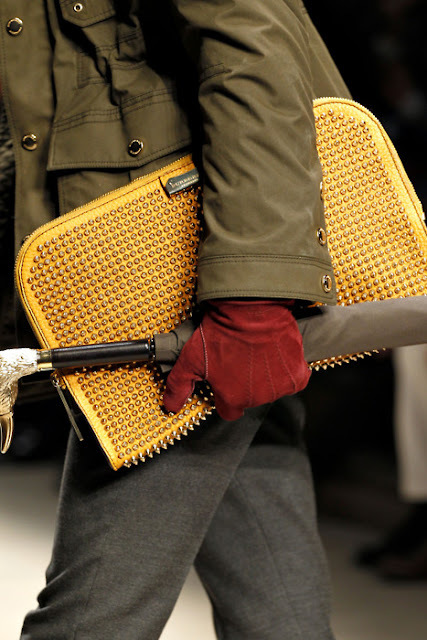 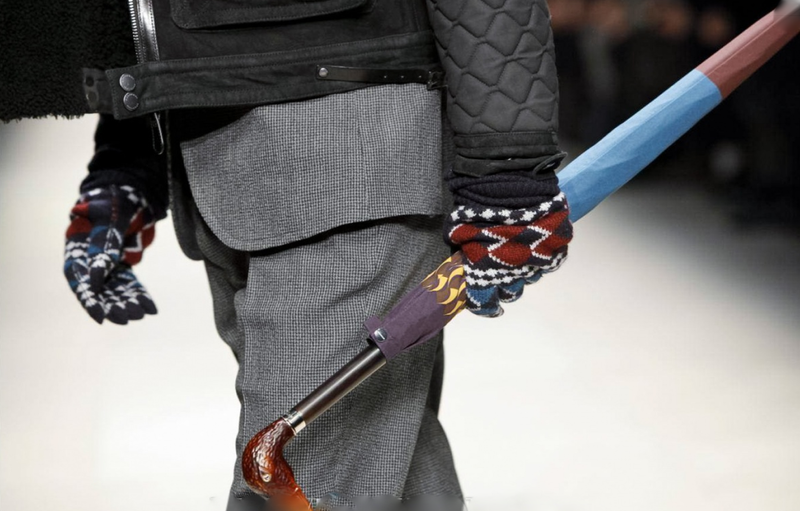 I definitely like the accessories:Carved Umbrella Handles, studded gloves, wool gloves with bright geometrical design, stylish big handbags and studded portfolios. 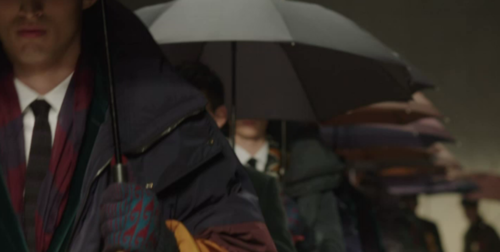 Also, I was a little bit surprised to see animal print, that is actually great!And I have no words to describe well fitted coats and costumes, new coats with bright horizontal lines at the bottoms. 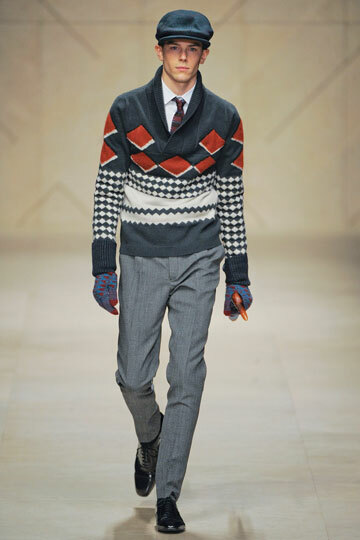 The sweaters in this collection have extraordinary collars and it`s definitely something new in fashion. 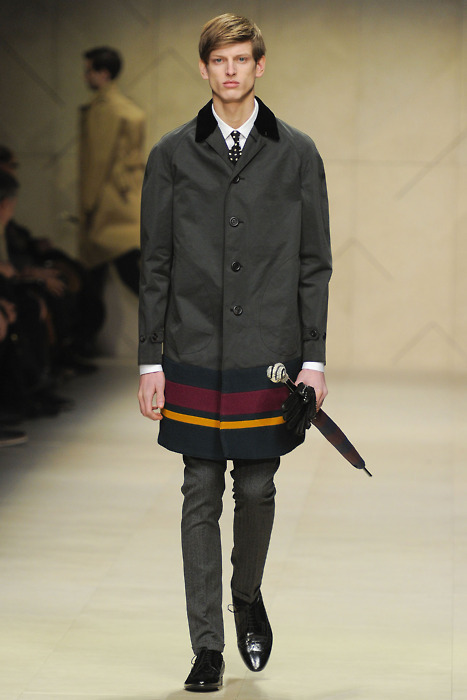 So thank you, Christopher Bailey and the whole Burberry team. 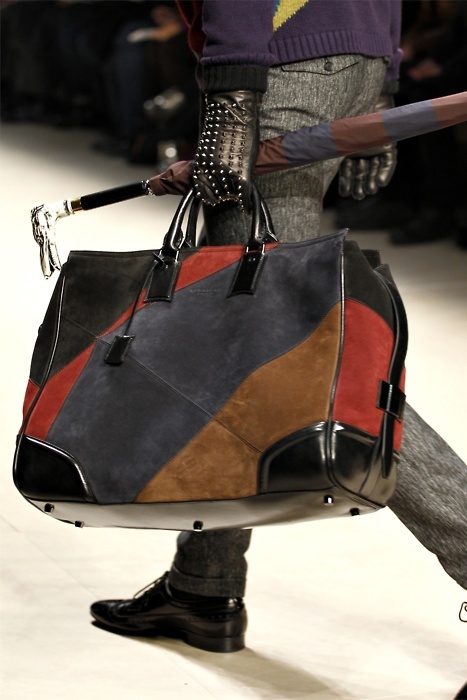 Here are some photos of the items that I really loved. Love this post! Great pics! 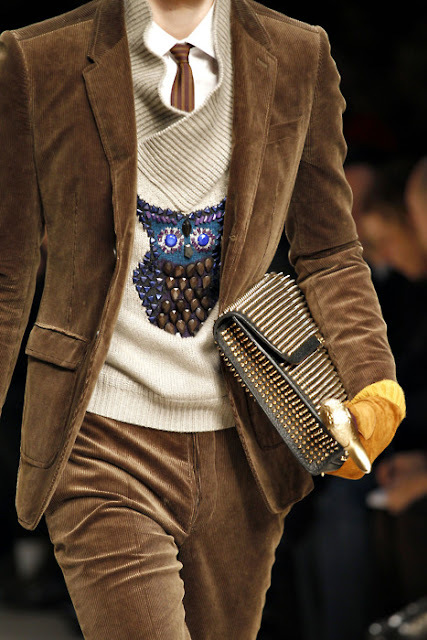 that black structured laptop case looking bag with the gold stud detail! 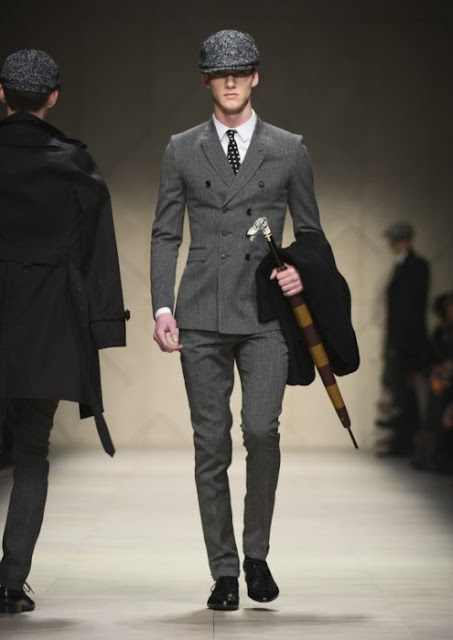 Nice blog, I'll be following!